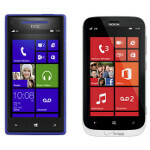 Big Box retailer Best Buy has turned on its online page for the Verizon variant of both the HTC 8X and the Nokia Lumia 822. The latter is an exclusive to Big Red. While neither Windows Phone 8 device is available for purchase or pre-order, the listing confirms earlier reports on how the devices will be priced. The HTC 8X is displayed at $199.99 with a signed two-year contract. We should point out that Best Buy's page mistakenly lists the phone as having a microSD slot, which is actually available only on the HTC 8S. The HTC 8X has a 4.3 inch a screen with resolution of 720 x 1280 which adds up to a magnificent pixel density of 342ppi. The Nokia Lumia 822 is listed at $99.99 with a signed two-year contract, and is equipped with a 4.3 inch WVGA screen with a dual-core 1.5GHz Qualcomm Snapdragon S4 MSM8960. 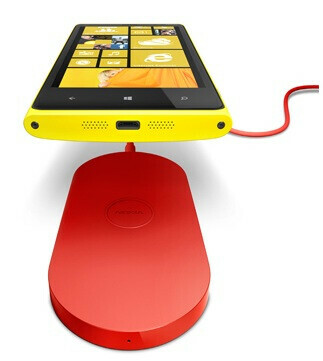 That is the exact same processor that powers the HTC 8X and both models offer wireless charging. The Nokia Lumia 822 resembles the Nokia Lumia 820 in looks and specs. While the HTC 8X is expected to make its international launch on November 20th, we do know that both of these phones should launch via Verizon before Thanksgiving, which falls on November 22nd this year. i won't be going the WP route for my primary this year but later on when i can nab an 8X up real cheap i'll probably buy one. I've got my hands on training for the WP8 next Monday so we will see how it does. I'm very interested to see how they perform and how easy they are to use. I think attrix HD on AT&T is better than both of these and is for 100 bucks on contract. the Atrix HD is a good phone but i wouldn't compare it to these in terms of value. they're just way too different. Does Verizon just have the blue one or is it getting more colors? as long As they have black and green/yellow i'll be happy.